Your sister passed the college exam while a friend has been engaged to long time partner. Your colleague was promoted while your brother got a new job. For all of these cherishable moments all you would wish for them is the best in life. Best Wishes Quotes and Messages is great collection that you can send to your loved ones to encourage them more to continue striving. We believe that a short yet inspirational note from the bottom of your heart is more than enough to let them know that you wish nothing but the best. Greet them today for a new chapter of their life and don't forget to remind them that this is just a beginning of their endeavor. Living for others is the way of life. So I choose for you Orange Flower. 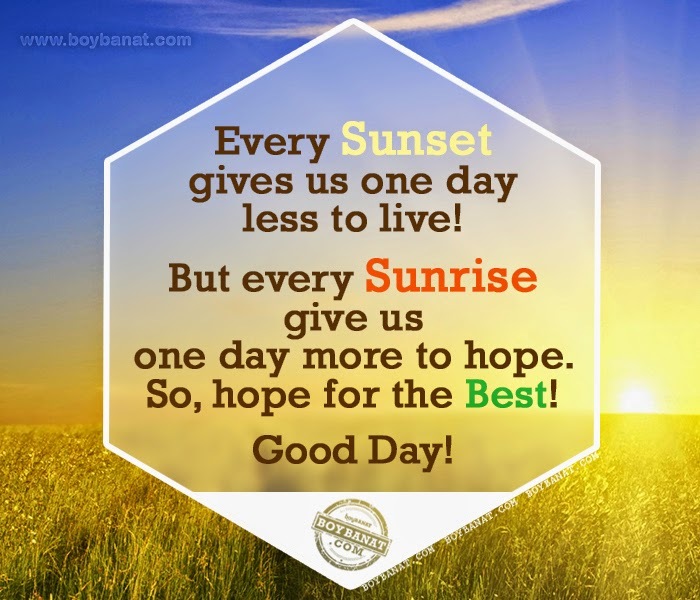 But every sunrise give us one day more to hope! So, hope for the best. Good Day! Use your experience and your experiments to get your expectations. May your heart be happy & your days be bright..
and never forget how special you are! those with strong vision and resilience. It doesn't matter where you might be now. Starting well and finishing strong is what counts. I pray happiness be at your door. peace, love, joy & good health. dreams and always believe in yourself. and hope in the heart and leave the rest up to God. and everyone around you to be as generous as your heart. live life and make each moment beautiful. you run after it, it keeps flying away. If you stand still it comes & sits on your shoulders. Wish you the happiest moments! Never say you feel well when you feel bad. Wishing you a day, soft as silk. Sweet as honey and full of money. "Have a beautiful and lovely week." Every moment of your life is a picture which you had never seen before and which you will never see again so enjoy and live life and make every moment beautiful. Focused mind and determined decision with God's Love. Let's your future be always shine. May your future always shine. It is truly inspiring to see people close to you achieving their goals with flying colors and you might have another collection of Best Tagalog Wishes Quotes that you can share with us. Feel free to Contact us as we will be really glad to have them posted here. 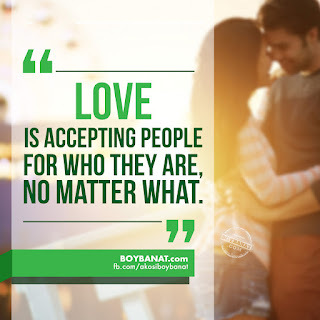 You can also check Boy Banat Official Facebook Page for more updates.